On the Cape Horn 27 function comes first – and that function is killing fish. 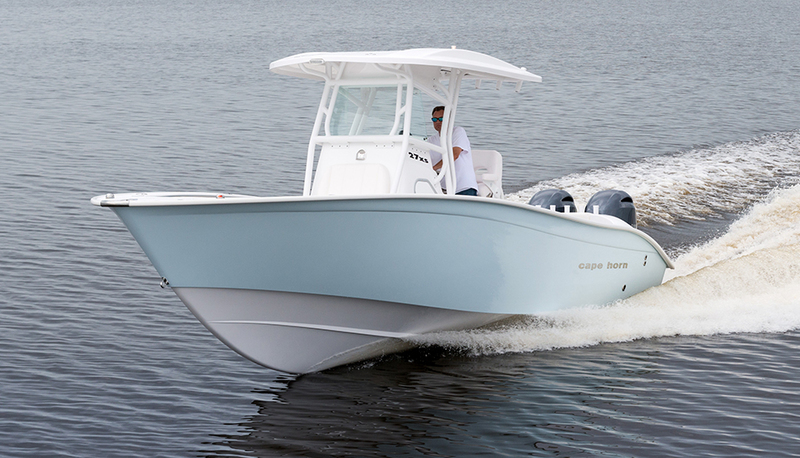 One of the things that makes the Freeman 42 LR so utterly awesome is the fact that it has rod holders lining the gunwales, the back of the hard top, and the transom – this boat clearly takes its fishing seriously. 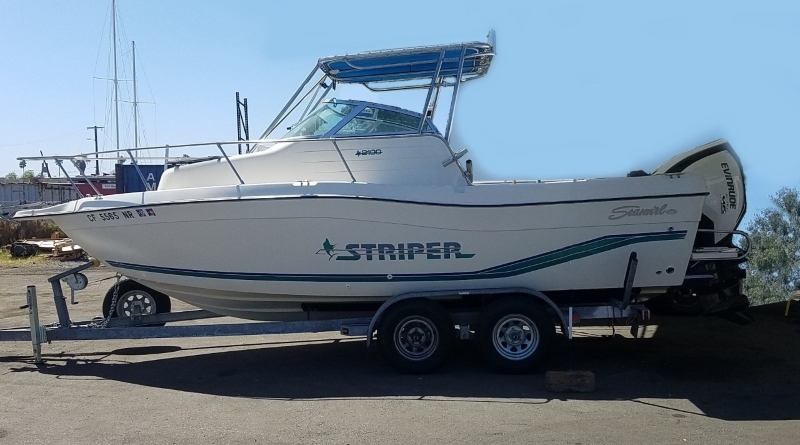 Not everyone can afford a quad-engine 42-footer like this, of course, but there are certainly smaller and more affordable boats on the water which have the same fishing-first attitude. One is the Cape Horn 27 XS, and after spending an afternoon aboard this boat its main mission was clear: fish carnage. Lots and lots of fish carnage, which becomes perfectly obvious when you start counting holders and realize this boat carries 25 of ‘em. Standard. How many fishing boats have a rod holder for every two feet or LOA, much less coming close to one for every foot of LOA? Not many. Not many at all. As you might expect from a 27-footer carrying 25 rodholders, the Cape Horn isn’t lacking in its other fishing accouterments, either. There’s a 42-gallon livewell built into the back of the leaning post, a 700-quart, seven-foot-long fishbox in the deck, coaming bolsters all around, lights and an electronics box built into the hard top, fresh and raw water washdowns, and an option for a crow’s nest atop the hard top. The 27 XS is also riddled with slick design features. One favorite is the transom. 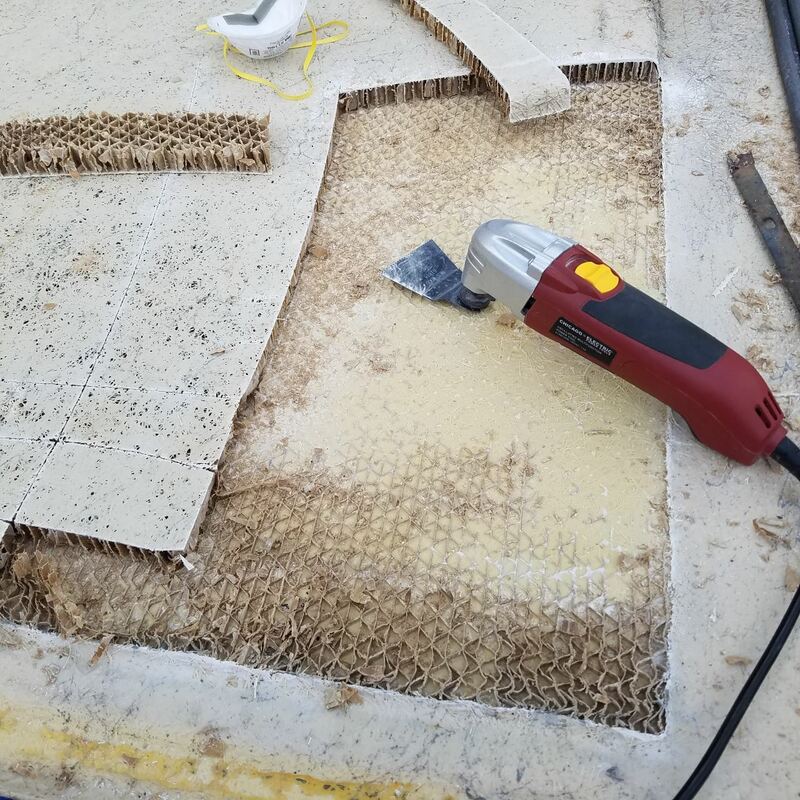 By locating the livewell in the back of the leaning post and building in a flush-folding aft bench seat, the transom is kept incredibly svelte. So svelte, in fact, that you can actually reach around the back of the outboards with a rod tip – something that’s annoyingly rare in modern outboard-powered fishing boats. True, locating the livewell in the leaning post does mean losing some of the space commonly utilized for a rigging station. But how many guys actually try to rig baits while cruising through the open ocean on a 27-foot center console at speeds in the upper-30s, anyway? 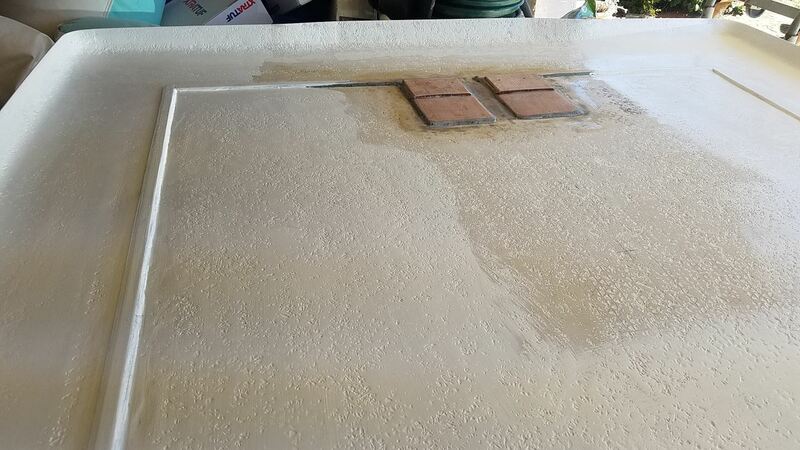 Locating the livewell behind the leaning post minimizes transom width, while also allowing for a whopping 42-gallon capacity. 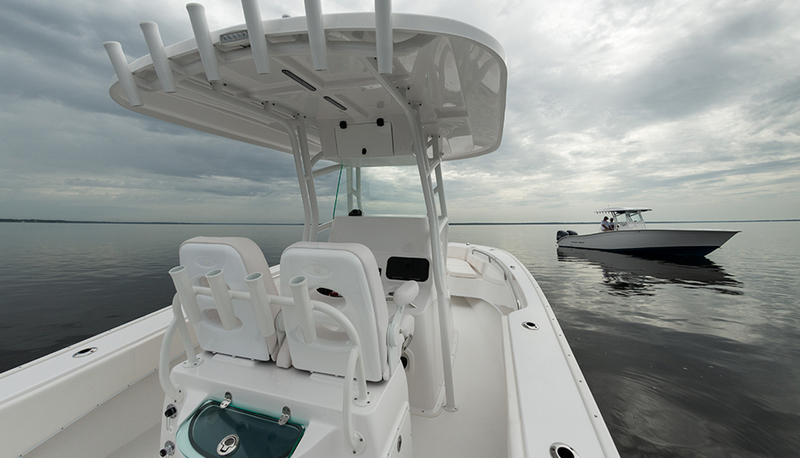 Yes, we did just say “upper 30s.” In fact, when we ran the boat with a pair of Yamaha F200 outboards we cruised along at 38 mph while turning 4500 rpm. At that speed we made 2.2 miles to the gallon, and mashing the throttles to the fiberglass, we hit 55 mph. That’s very good performance, but the really impressive moment came when we shut down one engine, tilted it up, and ran the boat on a single screw to see what “get-home speed” would be if an outboard ever went offline. On most boats of this size you’d hope to make 12 or 14 mph. But the Cape Horn actually got up on plane, and maintained a solid 20 mph on the one engine. If you fish hard and you fish far, that will really matter one day. Performance is a definite high-point for the Cape Horn 27 XS.In case you hadn’t guessed it yet, we enjoyed our time aboard this boat. But we all know that no boat is perfect. 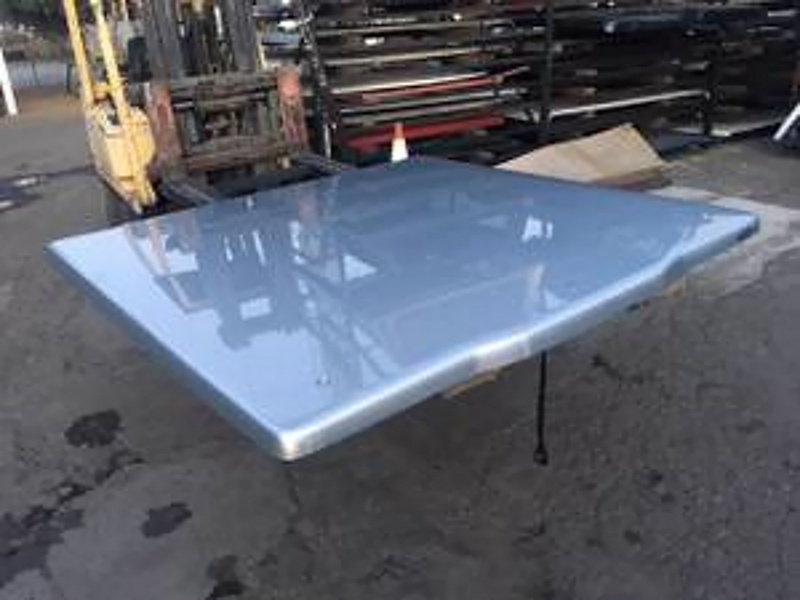 In this case, some people may be a bit put off by a few finish details, like hatches that aren’t infusion molded for a perfect finish on the underside. But stuff like that is mostly aesthetic, and adds loads of cost. We’d point out that you can find a rigged and ready 27 XS for well under 150K, while some 27-foot center consoles with a yacht-like finish can top $230,000 – and they probably come with six or eight standard rodholders, rather than 25. One other area the Cape Horn makes a trade-off is in the bow. 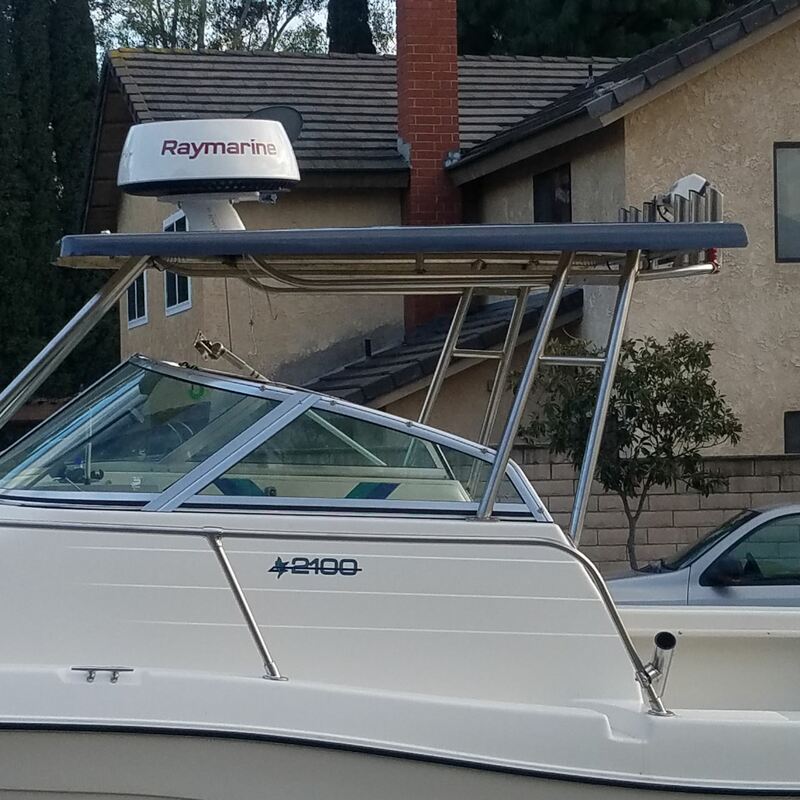 Some people prefer it to be wide-open to maximize deck space, while others prefer bow seating for the extra comfort and stowage. 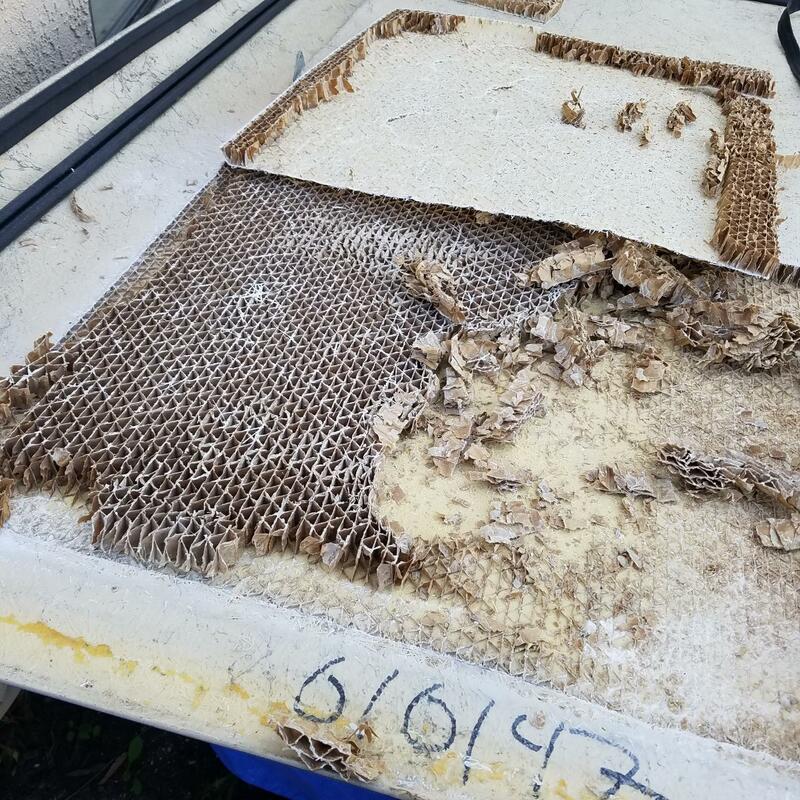 In this case, comfort and stowage win out. But the forward seats stop just above deck-level, so there’s room to slide your feet underneath and stand right up against them. 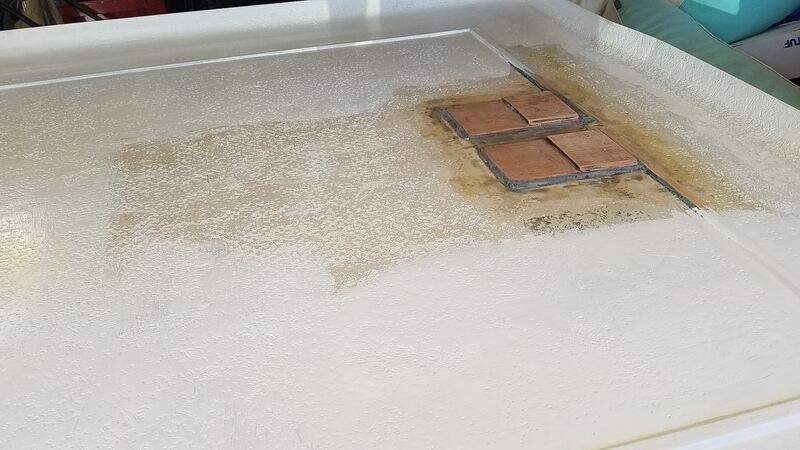 Added bonus: you get gobs of dry stowage, under those seats. 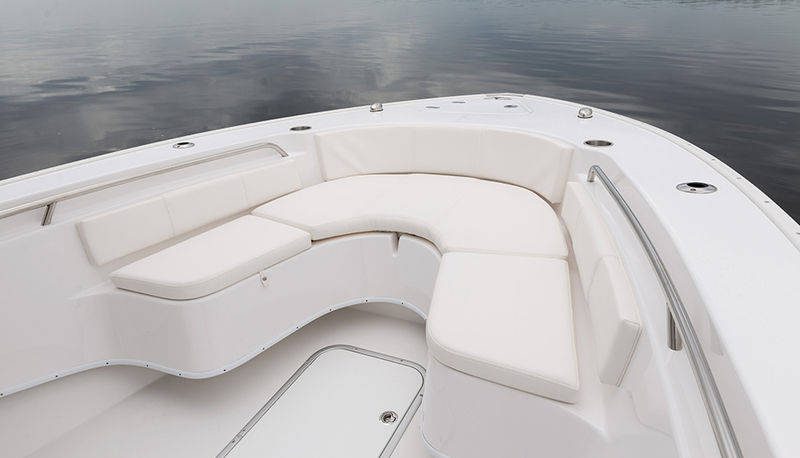 The forward seating arrangement splits the difference between fishability, and comfort. 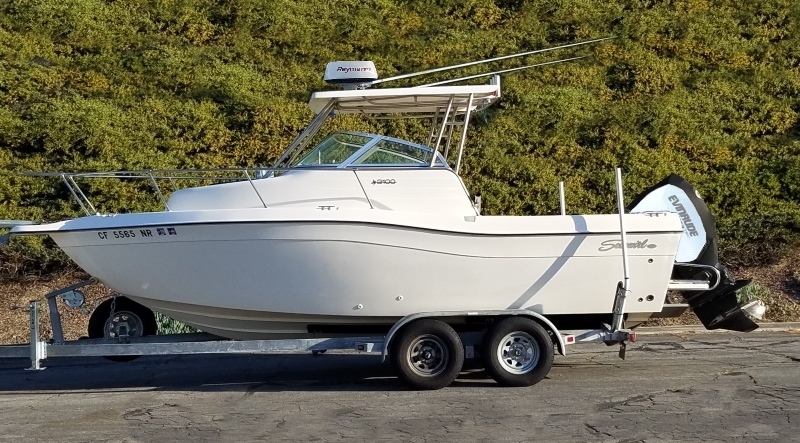 Okay: so we know the 27 XS has some serious fishability, performs like a champ, and unlike some other boat of the same size doesn’t cost more than an average American home (we looked it up on Zillow: $223,900). 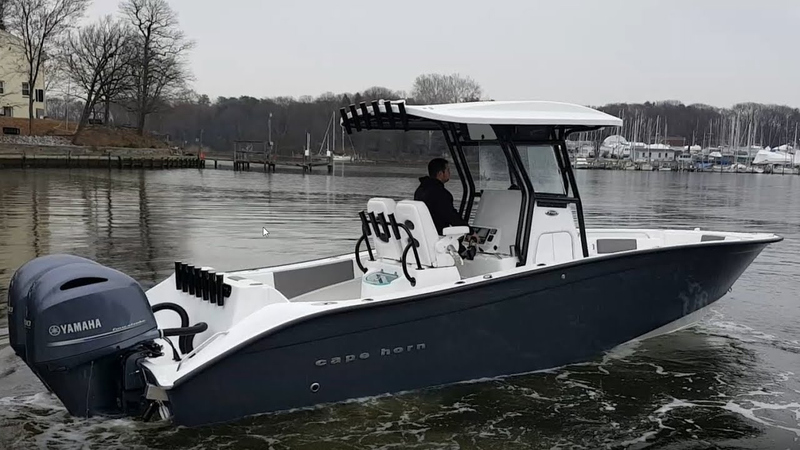 What we haven’t talked about yet is the fact that it’s built with closed-cell urethane foam between inner and outer hulls; the boat comes with a 10-year hull warranty and a lifetime transom warranty; an aluminum trailer with disc brakes comes standard; and the console head compartment has a spectacular 6’2” headroom. Any further questions? Then it’s time for a sea trial. For more information, visit Cape Horn Boats.